In terms of area, it is the 32nd largest country at 356,669 square miles. The country is a federal presidential republic with a president and vice president. The capital city is Abuja. However, the largest city is Lagos. The official currency is the Naira. Nigeria's flag features three vertical stripes: two green stripes on each end and one white stripe in the middle. The GDP of Nigeria is $481.1 billion. The nominal GDP per capita is $5,900. While English is the official language, there are over 500 indigenous languages in Nigeria. Seven percent of the total languages spoken in the world are spoken in Nigeria. Nigeria has a federal presidential republic government. Nigerians must be at least 18 years old to vote. Football, or soccer in the United States, is one of the country’s most popular sports. Its national team has won the Africa Cup of Nations a total of three times. Nigeria is the most populous country in Africa, and it is the 17th most populous city in the world. 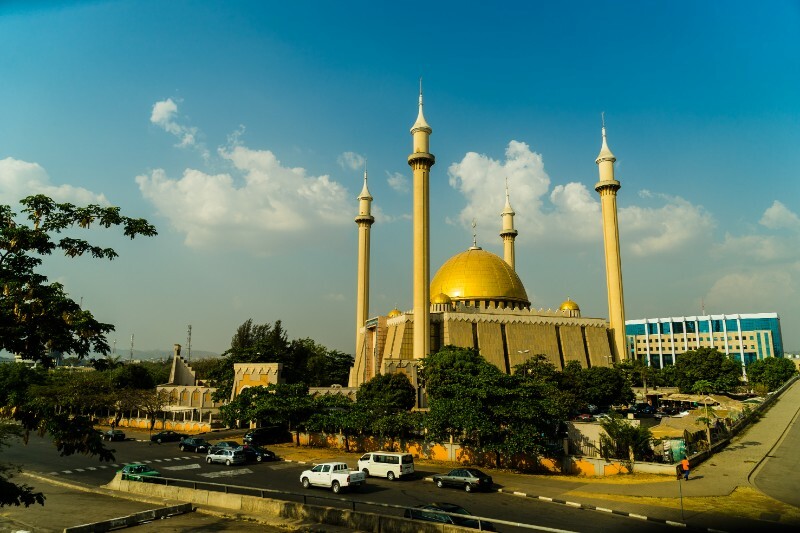 About half of Nigerians are Muslim, while approximately 40% are Christian. In terms of size, Nigeria is about double the size of the state of California. While some cultures believe it’s rude to not look someone in the eye, in Nigeria, it is customary to not look into someone’s eyes. Nigerians operate on what has become known as “African time.” This means that they are rarely on time. The more high class a person is, the later they will be. In some Islamic marriages in Nigeria, once a woman is married, she may no longer see any of her male relatives again. Like other African countries, the left hand is considered dirty by Nigerians. It is in poor taste to eat, shake hands, or pass or receive items with the left hand. The country is the 7th largest democracy in the world. Oil accounts for over 70% of the country’s exports. The Niger River, which spans 2,600 miles, is the third largest river in West Africa. Speaking of the Niger River, it was the inspiration behind Nigeria’s name. Nigeria’s movie industry is known as “Nollywood” and it is one of the largest movie industries in the world. The life expectancy on average is 52 years, one of the lowest in the world. This is primarily due to poor healthcare, a lack of clean water, and poor living conditions. The city of Abuja was built in the 1980s and eventually replaced Lagos as the capital. Nigeria’s Third Mainland Bridge is the largest bridge in Africa. Nigeria is the 12th largest producer of crude oil, pushing out over 2.5 million barrels per day. Evidence of human life in Nigeria dates as far back as 9000 BC. The nominal GDP of Nigeria is the 2nd largest in Africa. Approximately 70% of Nigerians work in the agriculture industry. The country’s cash crops include cocoa, wheat, peanuts, and cotton. It is thought that the area surrounding Calabar has the world’s most diverse species of butterflies. The drill monkey is native to Nigeria, and it is only found in one other country – Cameroon. Nigeria has launched the Nigeria Vision 20:2020 initiative that aims to put its economy in the world’s top 20 largest economies by the year 2020. The richest man in Africa, Aliko Dangote, resides in Nigeria. He is worth an estimated $12 billion. Social media is very popular in Nigeria, and there are over 3 million Facebook users in the country. The Portuguese first reached Nigeria in 1472. Nigeria’s population is estimated to reach 444 million by the year 2050. Five of the 10 richest pastors in the world live in Nigeria, according to a report from Forbes. Their net worth ranges from $10 million to $150 million. West Africa’s oldest civilization, the Nok, have been in the country since 1000 BC. Africa’s oldest boat – and the third oldest boat in the world – was discovered in Yobe. The Dufana Canoe is over 6,500 years old. The Yoruba group of Nigeria has the highest rate of twin births in the world. It is believed by some that the group’s consumption of yams contributes to this. The Jos Plateau Indigobird is a bird species that can be found only in Nigeria. Over 4,700 species of plants grow in Nigeria. The city of Lagos’ population is more than all of the eastern United States combined. Northern Nigeria takes over 80% of the country’s land. The Ivory Coast is Nigeria’s top trading partner in Africa. There are few national parks or protected areas in Nigeria, so many of its animals have become extinct or endangered. Nigeria’s nickname is “Giant of Africa” because of the size of its land and the diversity of its people. The Niger Delta located in Nigeria is the third largest delta in the world. A new constitution was created in 1999 following years of military rule and corrupt leaders. Nigeria is a bustling country with many residents that are friendly and are rooted in their culture. While many of the country's animals have become extinct or engangered, it still has unique and rare animals and stunning landscapes throughout the country that make this a must-see country.